Being a quality-oriented organization, we never compromising on the quality aspect of Pellet Cooler. We precisely design Pellet Cooler using highly efficient components, procured from the established vendors of the markets. The design of Pellet Cooler facilitates easy operations. Pellet Cooler is used to cool the pellets. Counter flow cooler (C.F. Cooler) is use for best cooling the pellets with ducting blower, ducting pipeline, cyclone. 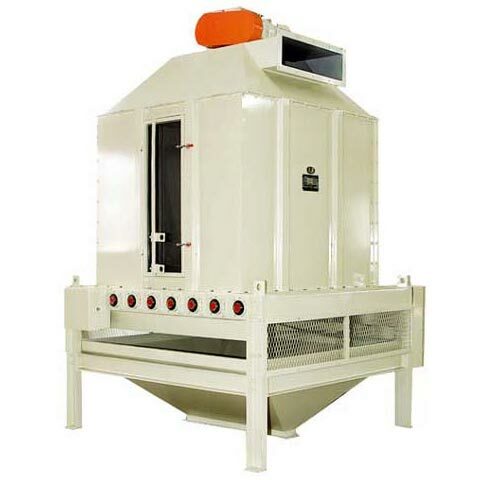 We deal in horizontal cooler which is used to cool the pellets for small scale and also use for different purpose.